Lassen Volcanic National Park came into existence on May 6, 1907, when President Teddy Roosevelt signed proclamations creating two national monuments—Lassen Peak and Cinder Cone. Nine years later, those two national monuments formed the core of the new Lassen Volcanic National Park, passed by congress and signed by President Woodrow Wilson in 1916. Lassen is often called a hidden gem among the national parks. Although one of the earliest national parks—the 15th created—it has always been a runner-up in popularity to the great western parks like Yosemite and Yellowstone. Yet it shares many characteristics with those two world famous preserves. Like Yosemite, Lassen sits in the rugged mountains of northern California, at the south end of the Cascade Mountains. Its high elevation means that snow blankets the park for much of the year—remnants of winter snows linger through July, and many roads are closed by October. Like Yellowstone, Lassen is renowned for its thermal features. Lassen Peak, the namesake mountain of the park, is the southernmost active volcano of the Cascades. 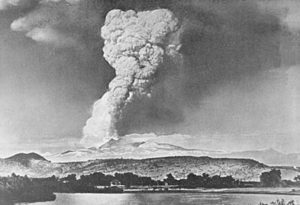 It last erupted in 1915, one of only two volcanoes to erupt in the 20th Century (the other, of course, was Mount St. Helens on May 18, 1980). The eruption blasted 30,000 feet into the air, creating a cloud of ash and smoke that traveled 200 miles. Smaller episodes of activity occurred for the next two years. Tourism also erupted, as people traveled to see the results of the volcanic blast. They were rewarded with a phenomenal volcanic landscape. Lassen Peak itself retains a large scar down one flank, known as the “Devastated Area.” A series of cinder cones occur in the park as well, looking amazingly like the volcano a child might make for a science project. The park features several areas of intense thermal activity, where vents, fumeroles and mud pots create a geological fantasy land—a smaller and more compact version of Yellowstone. The region was made a national park because of these unique and scenic thermal and geologic features. Despite its qualities and location, Lassen Volcanic National Park is not highly visited. Annual visitation in 2017 was just at 500,000, a little over 10% of the visitation at Yellowstone or Yosemite. The number of visitors has remained at the same level for the past 40 years. It is considered a family-friendly park, and many of the visitors are from the surrounding area, unlike the throngs that come from around the world to visit Yosemite and Yellowstone. Krahe, Diane L. and Theodore Catton. 2010. Little Gem of the Cascades: An Administrative History of Lassen Volcanic National Park. US National Park Service. Available at: http://npshistory.com/publications/lavo/adhi.pdf. Accessed May 2, 2018. National Park Service. 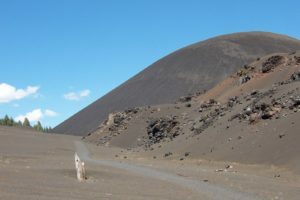 Archeology Program, Cinder Cone and Lassen Peak National Monuments. Available at: https://www.nps.gov/archeology/sites/antiquities/profileLassenVolcanic.htm. Accessed May 2, 2018. USGS. 2000. Volcano Hazards of the Lassen Volcanic National Park Area, California. USGS Fact Sheet 022-00. Available at: https://pubs.usgs.gov/fs/2000/fs022-00/. Accessed May 2, 2018.